It happens to every home eventually…the roof is showing signs of deterioration and needs to be replaced. But who should you call? You want an experienced and professional roofing contractor who will do the job right, but how can you tell the reputable roofers from the scam artists? What sets us apart from the competition is our vast knowledge in the roofing industry and how different roofing systems will interact with your gutters, siding, and windows. Together, we’ll use this knowledge when working with you to create the best design and roofing system for your home and your budget. From start to finish, our trained specialists will handle every phase of the project from designing your new roof to ensuring not even a single nail is left behind after we’re gone. The Chuba Company has been a GAF Master Elite contractor since 2006. This is a title we hold in high regard because it shows our prospects that we are properly licensed, adequately insured, have a proven reputation, and a commitment to ongoing professional training. We’re proud of this title because only 3% of all roofing contractors have qualified for this distinction through GAF. 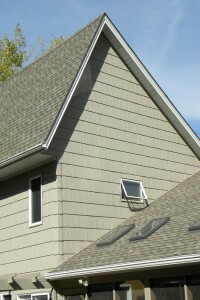 What also makes the Chuba Company unique is our crew of experienced roofers. We’ve had the same crew since 2006, and have installed more than 800 roofs since then. After a job is complete, we survey every customer for feedback and we consistently earn very high marks on the customer surveys. Take Advantage of our Roofing Specials! Ready to give your roof a new life? Contact us today and SAVE 10%* on your new roof! 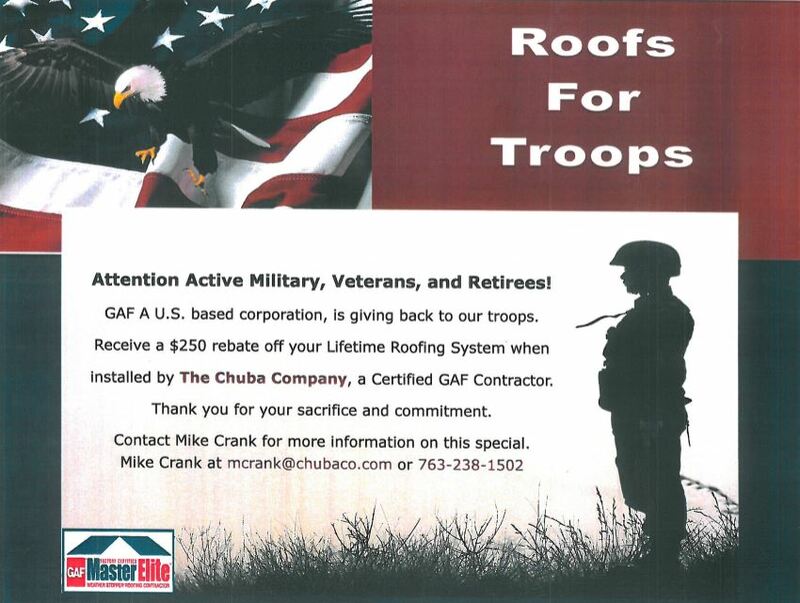 Plus, all members of our military receive a $250 rebate from GAF on any Lifetime Roofing System installed by The Chuba Company.